Joe Corporon hails from South Florida, where his musical life began at the age of seven, when he started taking piano lessons. At age 11 he began playing the cello. He is a graduate of the University of Miami, in Coral Gables, Florida, with a degree in cello performance, having studied under the magnificent Eugene Eicher. His background includes several years of teaching music in private and public schools in the Miami area. 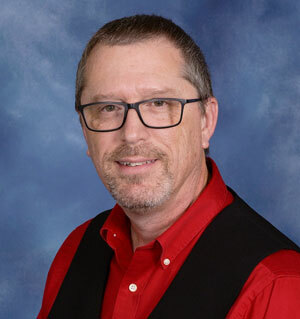 Joe has been the Music Director at Tomoka United Methodist Church in Ormond Beach, Florida, since 2001. He previously served other churches in Amarillo, Texas, and in Orlando, Florida. Since moving to this area he has regularly performed with local musicians and ensembles in the Daytona Beach area, including the Halifax String Quartet, and as principal cellist of the Daytona Solisti Chamber Orchestra, and the Ormond Beach Symphony Orchestra. Recently, Joe has been collaborating with Susan Pitard Acree, Founder and Director of the Daytona Solisti Chamber Orchestra, and Dr. Michael Rickman, professor of piano at Stetson University, to perform the complete cycle of Piano Trios by Ludwig Van Beethoven. Luckily, there will be many more performances before they are finished. Joe and his wife, Donna, are the proud parents of two girls and two boys. In his spare time Joe enjoys arranging music for voices and instrumental ensembles, developing websites, and learning the intricacies of Ubuntu Linux and other open source software.